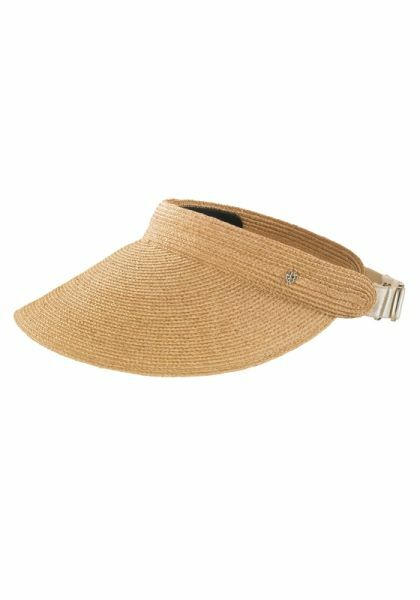 Complete your holiday wardrobe with the classic Kirsten Visor by Helen Kaminski. This favourite style is made from hand woven raffia, featuring a wide 12cm peak and sateen elastic to fit. This style is fully rollable for packing.